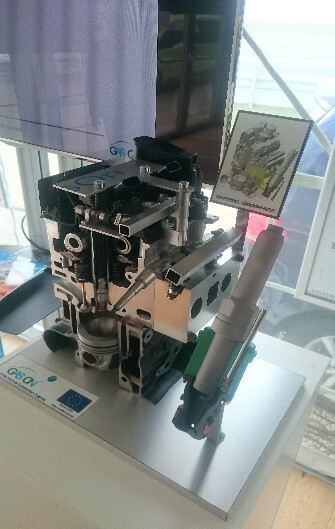 The engine concepts developed in GasOn reached efficiencies clearly above current series products leading to CO2 savings of up to 20%. One of the measures to achieve that is a high compression ratio of at least 13:0. The project consortium investigated during the 4 years of project duration several technologies like direct gas injection, variable valve timing, variable compression ratio and advanced turbocharging concepts. In a separate workpackage a new lean combustion process has been developed utilizing a pre-chamber to reach even higher efficiencies. This research activity lead to engine efficiencies of above 44%, which is a huge reduction of CO2 even compared to former CNG vehicles. 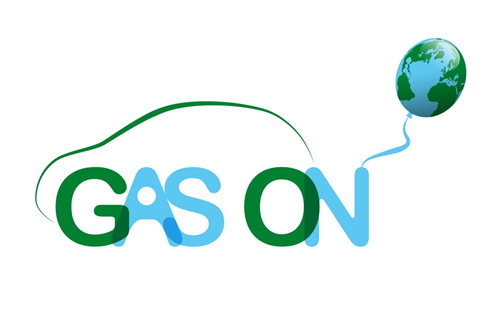 GasOn will finish end of April 2019 and a public workshop has been organised with the possibility for testing the demonstration vehicles. For further dissemination, three scientific papers and presentations were shown at the WCX SAE World Congress in Detroit, 9 – 11 April 2019. This project is coordinated by Fiat Chrysler Automobiles, in close cooperation with Volkswagen AG, Ford of Europe and Renault involving 10 partners from universities, research centres and automotive suppliers. GasOn is co-funded under the European Union’s Horizon 2020 research and innovation programme under grant agreement No 652816. For further information on the project results, please visit the project website www.gason.eu. EUCAR members: Fiat Chrysler Automobiles, Volkswagen AG, Ford of Europe, Renault. Partners: 20 project partners including relevant research organisations and automotive suppliers.